Recticel insulation is known for providing the construction industry with top quality insulation products that stand the test of time. 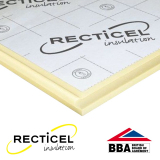 We’re proud to bring you three fantastic Recticel insulation ranges: Recticel Eurothane GP, Recticel Powerdeck U and Recticel Plylok. 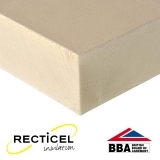 Eurothane GP from Recticel Insulation is a general purpose PIR board that can be applied in many areas of a building. 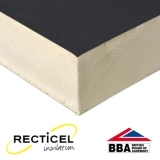 Suitable for application in pitched roofs, framed walls and floors, this Recticel insulation board is even compatible with underfloor heating systems thanks to its moisture-resistant qualities. Offering thermal conductivity of 0.022 W/mK, Eurothane GP is faced on both sides with a low emissivity multilayer coated aluminum. This high performance product is available from 25mm to 160mm so you can achieve exactly what you’re looking for with this product, whether you’re looking for 25mm of insulation beneath your bathroom underfloor heating or you need 120mm of rigid insulation board in your warm roof. 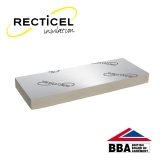 For use in warm flat roofs with hot applied waterproofing systems, Recticel Powerdeck U is a high performance PIR board that can withstand heat to offer you a flat, insulating warm roof solution. Any bitumen compatible single-ply membrane system can be applied over the top of Recticel Powerdeck U, including torch-on felt. Due to its impressive compressive strength and its stability, you can achieve a perfectly flat roof with no trouble. Achieving thermal conductivity as low as 0.024 W/mK, this Reticel Insulation favourite is faced with bitumen glass fleece on either side for added durability. 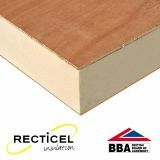 This Recticel Insulation product features a PIR insulation board bonded to a 6mm plywood sheet, offering compressive strength, stability and durability. Designed for use with warm flat roofs beneath built-up felt and single-ply waterproofing systems, Recticel Plylok will help you achieve a strong and stable flat roof build-up.  The lightweight boards are available in thicknesses from 56mm to 156mm and are also moisture-resistant.